No one will ever be as petty as elementary school kids on Valentine’s Day. Moms buy packs of pre-made valentines from Target, and their 10-year-olds ruthlessly categorize each student in their class to plan out who gets which card. Shoe boxes and paper bags decorated with red and pink markers and heart stickers are all just a facade for the savage judgement happening in homerooms across the country on February 14. Growing up, my developing brain was constantly creating friendship hierarchies. When I was in 6th grade, Brenna and April were my best friends so they got chocolate (obviously). Emma, Jack, Jonathan and Jason laughed more than the other kids in my class and I thought they were nice, so they got red heart-shaped lollipops (because red was the best flavor). Jake and Tori were pretty and preppy and I was bitter and on the cusp of my emo phase, so I kept their candy and pretended it fell off as I was transferring it into their decorated bags. The annual ritual was a lesson in social politics that the teachers couldn’t teach with a book. For one of the first times, we found ourselves having to navigate the subtle (or not-so-subtle) ways in which we communicated our relationships to both friends and crushes. The valentines gave us a platform to explore the wildly new emotions of love and affection. But of course, that meant having to deal with humiliation and heartbreak if the other person didn’t reciprocate. We were all putting hours of thought into deciding who got which valentine, but having the kids hand out a card to every person also gave us a cushion against rejection we didn’t even realize we had. 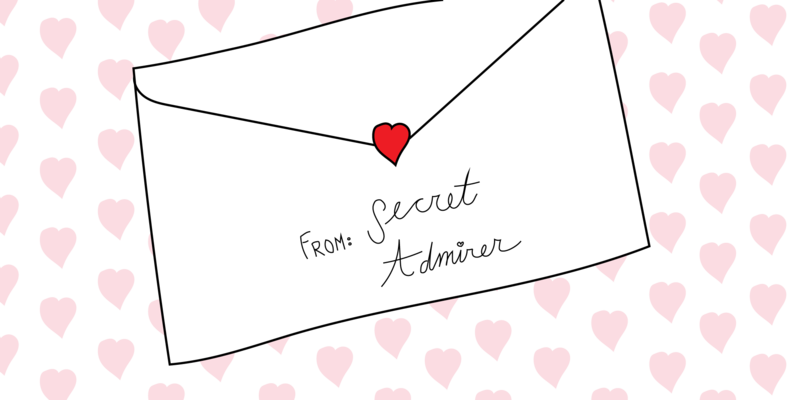 The true heroes of these fragile years were the “secret admirers.” These were the brave souls who would anonymously tell their crush how much they loved them so they never had to face rejection. The best of both worlds! Shane Rene, a DePaul sophomore, was once himself a valiant Secret Admirer in his Idaho elementary school. He first adopted the elusive identity in the 4th grade when he used the pseudonym on a valentine for his crush Darcy. Although nothing much transpired that year, Rene (Secret Admirer) gave it another shot with the same girl in 5th grade. This time was different. This time it was serious. “I put an extra piece of candy on (the valentine) and then wrote a note that had ‘Secret Admirer,’” Rene said. And it almost worked for him that year. Love is patient, though, and when Rene gave the “Secret Admirer” tactic a third try in the 6th grade, it finally worked. The thought process behind wanting someone to know how you feel about them while still remaining anonymous is a bit of a catch-22, but “my just to make them aware that someone liked them,” Rene said. 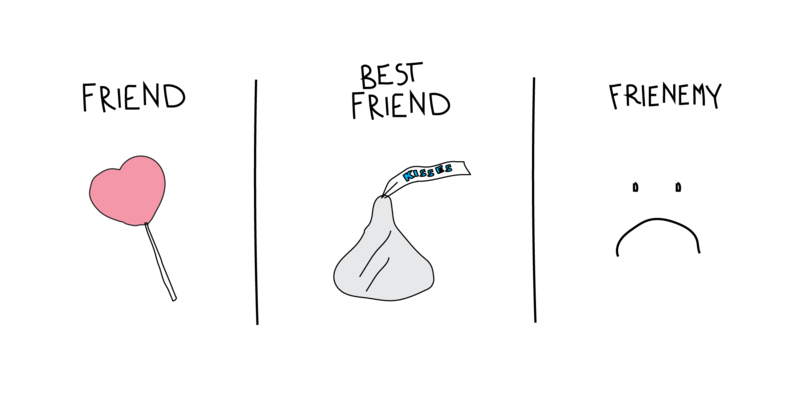 I’ve been thinking a lot about the role of a secret admirer lately, and how whether it be signing a card anonymously or giving a valentine to every person in the class, we all try to tiptoe around rejection at a young age. Romantic love and affection are foreign feelings for many adolescents, so we go around making calculated gestures to avoid heartbreak while still trying to explore the new sensation. And even though it’s been years since I’ve gotten a Lizzie McGuire or Hot Wheels-themed valentine, the social signalling I learned from elementary school Valentine’s Days sticks with me to this day. We were anonymously signing cards; we wanted to feel the good without the bad. And has that really changed? Maybe that’s why I spent my 21st consecutive Valentine’s Day being single, but I’ve got to say that I secretly admire all of the love around me.